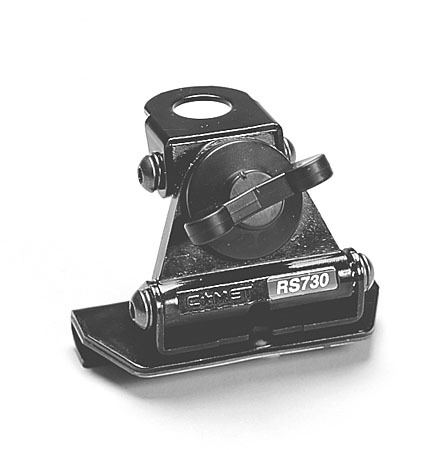 Can be used with a lip mount or used alone as permanent hole mount. An o-ring is included to seal moisture from migrating under the threaded nut holding the connector in place, but additional water-proofing using silicone is recommended around the connector threads. The N-male connector has a reverse threaded barrel. Turn the outer barrel clock-wise and it will thread off the connector body. 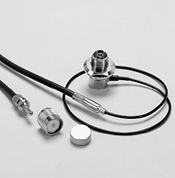 The coax can then be routed through small holes or pushed through tight spaces without completely removing the connector. After routing the coax into place, screw the barrel back onto the N connector. 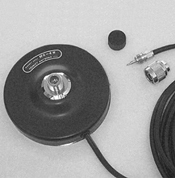 Deluxe cable assembly for use with the RS-730 lip mount. 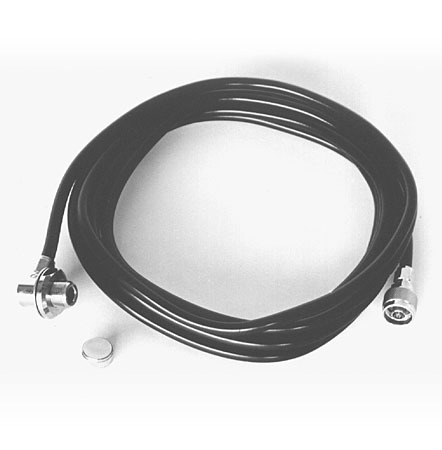 The first 18 inches of coax is mini RG-174A/U type coax allowing easy entry through the weather seal into the vehicle without causing wind noise, water leaks or coax damage. The coax balance is very low loss with 24k gold plated N-connectors. The N-male can be easily disassembled and the length shortened to avoid excessive cable loss. Universal lip mount that attaches to any lip on a vehicle that is Â? inch thick or less and adjusts to vertical from virtually any angle. Soft rubber between the mount and vehicle protects the paint, four large set screws hold it in place from the bottom side. Add the 5D4N low loss cable assembly or the CK-5N deluxe cable assembly.